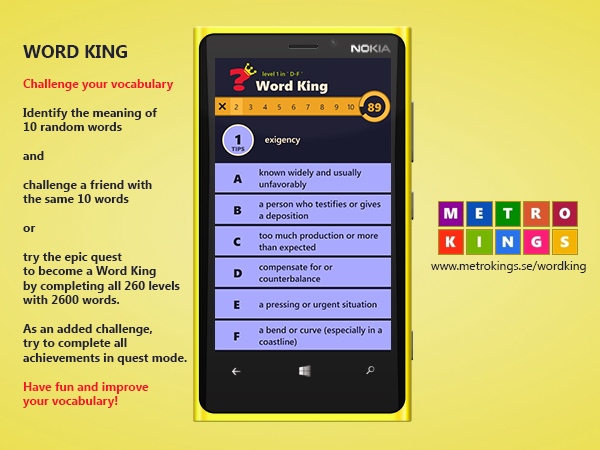 This is a simple Windows Phone vocabulary quiz game with 2600 words. It has levels to unlock and achievements to complete. Read Reviews and install the app at Windows Phone Store or read more about the app on my Metro Kings page for Word King.